Planning and blogging. Two of my very favorite things – but unfortunately, my store bought planners don’t do the trick when it comes to blog planning so I set out this week (which turned in to two weeks) to create the best blog planner for my needs and I think regardless of what niche you blog in, this will be the best blog planner for you too. I’d love to show you around the best blog planner first hand – watch the youtube video below to see what is included in this planner download. I’ll be adding to this planner all year so if there’s something you need and you want it to match the rest of the planner, please let me know in the comments below. Just click the LIKE button and you’ll be direct to click through to the download. I’d love to hear your thoughts about the best blog planner in the comments below – and please be sure to pin for other blogging friends! This is exactly what I was looking for! I want to start this new year off strong! Thank you so much for sharing! Staying organized is SO important for success as a blogger. Thanks for this fabulous resource! I love how organized this is! Your planner is beautiful! I need to start using one I’m so unorganized! This is so great of you to share! I made my own last year but have not gotten around to making one this year. I need to stay focused and organized otherwise I get all over place with my to-do list and ideas. Thank you for the beautiful blog planner! I love that you had some different pages than the others around! I appreciate you sharing this knowing you probably spent a long time on it! Great, thanks. Can’t wait to start using it!! What an awesome download! It looks great. You worked really hard on it. 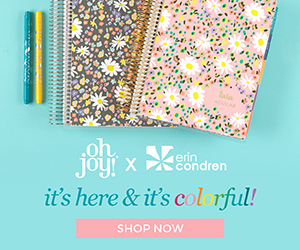 AWESOME free planner!!! WOW! Also love how you left the calendar blank for yearly use, so smart. AND, I had never thought of using a category section to balance posts. Love it!!! I’ve been looking for a new blog planner printer, I’m definitely going to download this one! thank you! Just what I was looking for. Thank you so much for your generosity! I hope you are having a fabulous New Year! I’m new, as in not yet launched my blog, but in the research phase and your blog planner is the nicest one I’ve seen. Thank you for making it available as a free download. I soooo appreciate that! I’m looking forward to utilizing it to reach my goals and stay focused. Awesome planner, using it now. Wow I love how organised you are! I think the planner will help me start my blog and stay on top of what needs to be done. Thank you! Is this download still available? I’m just starting out in the blogging world and this looks perfect for me. Thank you so much for this, it’s perfect!! I loved to bullet journal and then got myself an iPad. I was thrown into a bit of a mess, trying to transfer the hard copy journal to digital. Finding these little nuggets are always a help. I use Evernote and Noteshelf 2 so that I can still handwrite, draw and type in my bullet journal. I’m looking forward to setting up 2019!